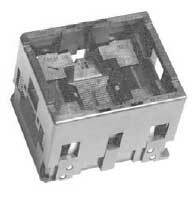 e(mm) Count Matrix Size (mm) Part Number MFR. Part Number Pin Count Body Size Pitch(mm) 封 装 MFR. PART NO. PIN COUNT 封 装 A B MFR.